Brandt Jean, Botham Jean's brother, center left, hugs sister Allisa Charles-Findley at a news conference in Dallas on Sept. 10, 2018. They're joined by Jean's mother, Allison Jean, left, and attorney Benjamin Crump. People stand near Botham Jean's Dallas apartment on Sept. 10, 2018, four days after he was shot and killed by a Dallas Police officer. The indictment of former Dallas police officer Amber Guyger on a murder charge in the killing of an unarmed black neighbor marks the latest development in a national conversation on issues of law enforcement and race. A former Dallas police officer who fatally shot her upstairs neighbor in his apartment in September will be tried for murder. The Shooting Of Botham Jean Raises Question: When Is A Police Officer Off Duty? When Officer Amber Guyger fatally shot Botham Jean in his apartment, she was off duty, coming home after working a long shift. But was she acting as a Dallas police officer when she pulled the trigger? Lawyers say she might have been, and that could have big legal implications. The trial of former Balch Springs police officer Roy Oliver continues this week in Dallas. He’s facing murder charges for shooting into a car full of teenagers leaving a party in April 2017 and killing 15-year-old Jordan Edwards. It’s one of several controversial police shootings of black men, teenagers and boys that have grabbed national headlines. But it’s rare that a case like this makes it to court. 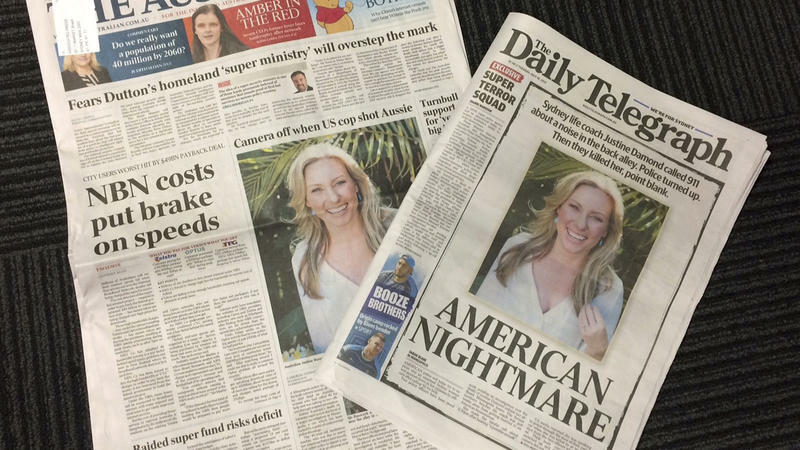 Just days after a police shooting claimed the life of an Australian national in Minneapolis, Justine Ruszczyk's death is stirring shock and consternation in the country where she was raised.